Faculty gather from across the university to help facilitate writing in their classes. Schedule an appointment with one of our student tutors today! What are the University Writing Centers? The Writing Center is a place where all members of the UD community can come to write and to talk, think and learn about writing. Perhaps best of all; all Writing Center services are free. No matter who you are, we believe the Writing Centers have something to offer you. 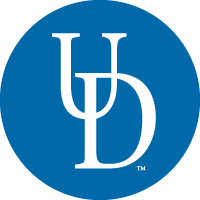 We invite you to make use of what we think is an invaluable resource at UD. Appointments start on the hour and last up to 50 minutes. You may make an appointment using our online scheduler, call 302-831-1168, or stop by one of our ​​two locations, 016 Memorial Hall and 017 Morris Library, to see if a tutor is available.